25 days and counting… until the new 2011 Spring/Summer lia sophia catalog is available for purchase! But, as of today lia sophia has updated the corporate page as well as photo settings on personal pages filling both with an array of pieces from the new collection. Over the last several years the nautical trend has been steadily making it’s way from the boathouse to the fashionista’s closet. Along with that have come some fun, fresh yet still classic pieces for the jewelry wardrobe. Find not only the charms of sea and sale, but also knotwork, the blues of the sea and the white and gold of sandy shores that can be appreciated both on land and at sea. Elegant gold chains are accented with braided knots both fitting the nautical theme and a Celtic flair, especially visible in the eternity knots in the bracelet. This set also has the distinction of gracing the cover of this season’s catalog. 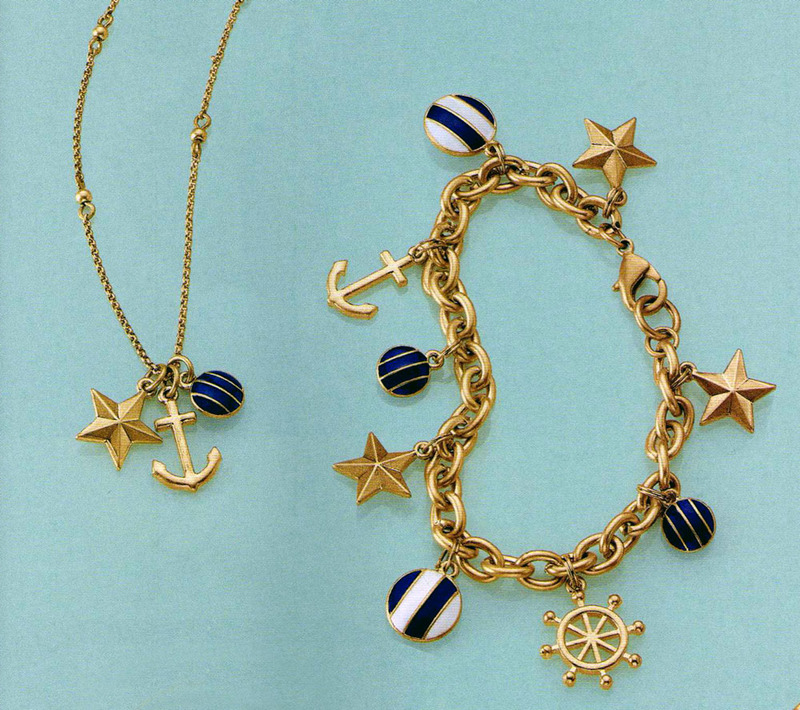 Charm lovers will adore this set adorned with classic nautical imagery. It’s a great set for sailing the seas, or lakes as it may be. 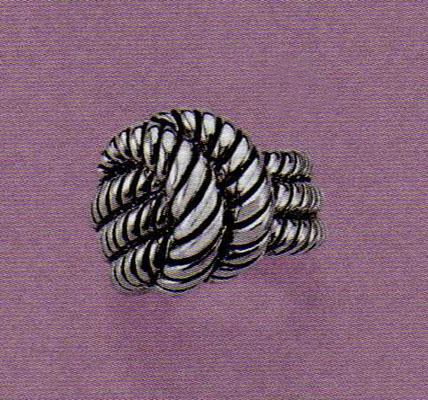 This ring was chilling out over in the City Girl section, but it definitely fits the nautical theme despite its wandering ways. Simple, yes. It is, however, a great way to add a touch of nautical without feeling like you’re going over the top with it.